I’ve never had the experience of having my kids getting lost and separated from me. I am sure that is an alarming feeling to say the least. But just this week I did experience that pit in my stomach when I wanted to find one of my favorite photos. It was lost! I searched and searched but could not find that lost file. Part of my problem is that I have two computers, two external hard drives, and a Drobo. I can easily find all of my recent photos, especially those shot since I purchased my Drobo. Previous photos are harder for me to locate sometimes and this week was a prime example. Which drive could the file be on? Which date was the photo taken? I typically had named my photo files with a date in this format: “2010-09-09.” Then eventually I added the event or location to the end of the file. 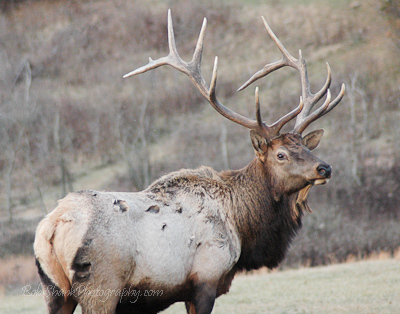 For example: “2010-09-09 Elk County.” This naming scheme still caused some problems for me because what if I knew a photo was taken in Elk County but couldn’t remember which date it was taken? This was my exact problem this week. I knew the photo was taken in Elk County, but I could not remember exactly when I took the photo or even which year it was taken. Most recently I changed my naming scheme to the event or location first and then the date like this: “Elk County 2010-09-09.” This naming convention must be used by more and more photographers because Lightroom uses this convention in their latest version 3.0. This protocol makes sense to me because now all my events and locations are grouped together by name and then by date instead of vice versa. Obviously I did not make this name change to all my old photos or I would have found the file I was looking for this week. I eventually did locate the photo I lost, but it was aggravating. How do you name your photographs? Can you find exactly what you’re looking for within a few short minutes? I was told a long time ago to pick a naming scheme and stick with it. I guess I haven’t found the best scheme for me yet. I am still adapting and changing out of necessity. Some day I will be able to not even think about this and it will just be second nature. In the meantime, I will continue searching for the best naming protocol that works best for me. By the way, here is the photo that was missing in action until today.